As someone that has a lot of friends and family asking for podcast recommendations, the best I could do for the longest time was to say something like “listen to Criminal” or “Beautiful/Anonymous is one of my new favorites.” And then I had this grand scheme to write the Podcast Gumbo newsletter where I recommend three podcast episodes each week. The hardest part of writing that newsletter was including links to the podcast. To make it easier for people, I included a link to the episode on the podcast’s website, a link to the episode in iTunes, and then an Overcast link (for anyone that used my favorite iOS podcast app). Android users? I honestly struggled to cater to them. I even asked some iOS developers if there was any way to create a ‘universal link.’ You can guess the answer to that question. It only requires two letters. Recently though, I came across Listen Notes and their Listen Later functionality which allows anyone to create a podcast playlist for free, no less. I was jumping for joy even before I tried it out. 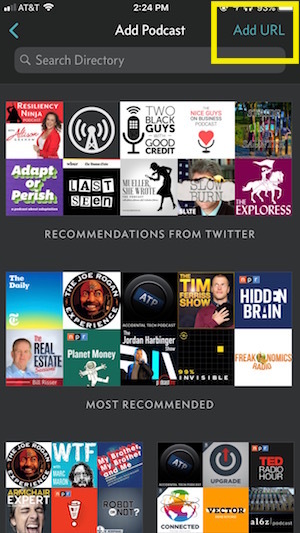 I had a few minor hiccups but the support at Listen Notes was fantastic and I’ve now had a playlist of all the recommended episodes from my newsletter (50+) working successfully for the last two weeks. Each week, I add three more episodes to my playlist. 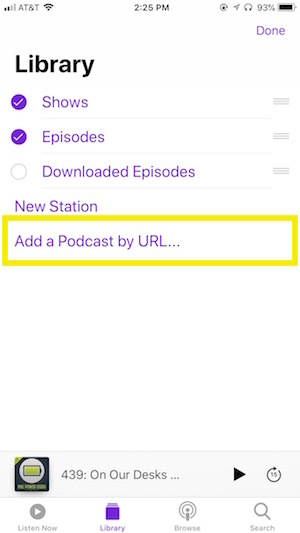 Without getting too technical, one simply creates a playlist of episodes (or podcasts) and is then given an RSS feed which anyone can pop into their podcast app of choice (assuming their app allows them to add an RSS feed). As the author of the playlist, I can name the playlist, add a description, and add a logo. If you want to subscribe to the Podcast Gumbo Newsletter feed, simply copy the link below and add it to your podcast app. 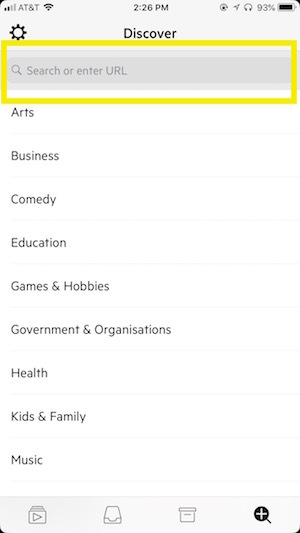 In your app, it will be listed like any other podcast like Serial or This American Life. Adding the RSS feed/url is different on every app. Here are some screenshots for some popular iOS apps. I know it works on at least Doggcatcher on Android. It does not work on Stitcher or even the new Google Podcast app. You can’t imagine how many of my newsletter subscribers have thanked me for having this functionality. Trust me, it makes me happier than it does them. I’m glad you found something that works for you. I tried a similar thing myself ( recommend 3 podcasts a week — with clips) for a while, and used Huffduffer to make the feed, but came across too many walled gardens to keep bothering.